I wasted so much time (well wasted is the wrong word, as I read plenty of other books in the interim) not reading Nevernight and I wish I could take it back. It is the most immersive, captivating and beautifully written book I’ve read in a long time. Fantasy is not really my genre to be fair. Harry Potter is probably the last fantasy series I read and it’s hard not to draw comparisons in the sense that in HP they are in a wizarding school, and in Nevernight they are essentially in a magic and murder school. I was trying to describe it to my husband recently, and the only way I could even come close was that Nevernight is like Harry Potter and Assassins Creed mixed together. 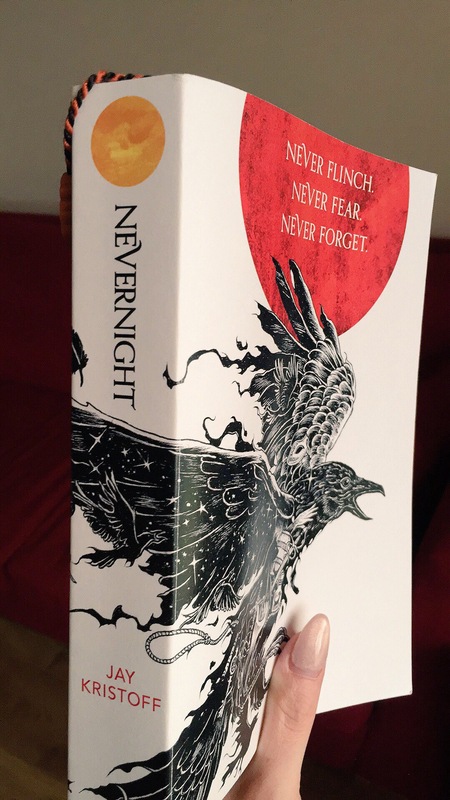 I recommend Nevernight wholly and completely. Whether you like fantasy or not, it is an excellent novel. Great review, I’m about a third of the way through and really enjoying it. Thank you! I wish I could read it again!!! What an enthusiastic review 😀 I love it! I’ve come back to fantasy after years of steering clear of the genre and some books have been good but this one sounds like a must-read! It was brilliant! I can’t wait for the next ones!